41 hotels with a sea view are waiting for you on the Calanques. 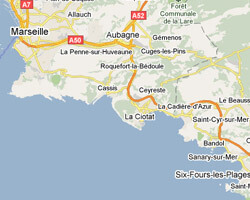 Between Marseille and La Ciotat, the seaside offers deep coves called "calanques". The contrast between the cliffs of white rock and the blue of the sea offers magnificent landscapes, among the most remarkable of France, in an exceptional and protected environment. Sormiou and En-Vau are the most famous, but the calanques of La Ciotat, more accessible, also offer beautiful scenery. 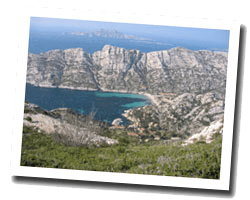 On the Côte des Calanques, enjoy the pleasure of a sea view hotel.